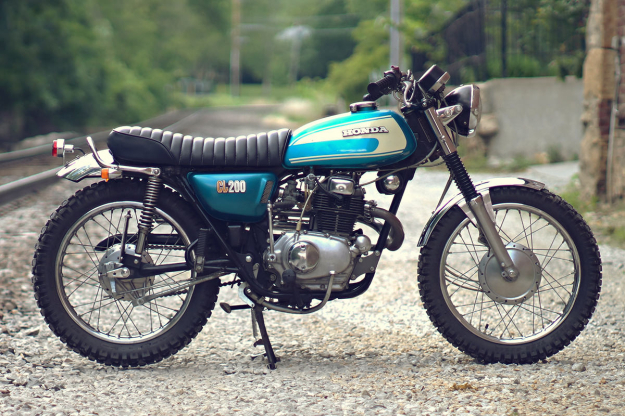 After acquiring a 1974 Honda CL 200, unspoiled yet barely running, Dan Mantyla was faced with a decision: restore or customize? 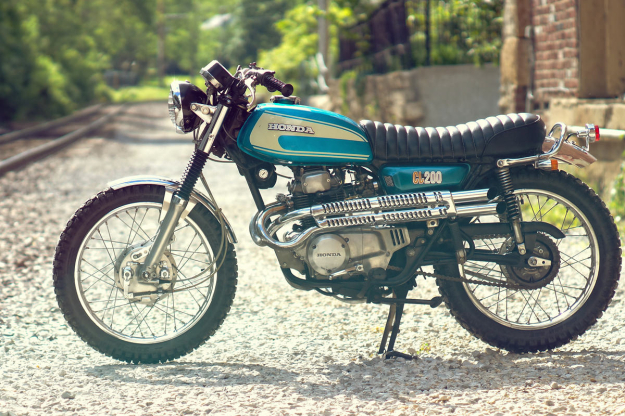 Customizing a bike as rare as the Honda CL is a delicate situation. 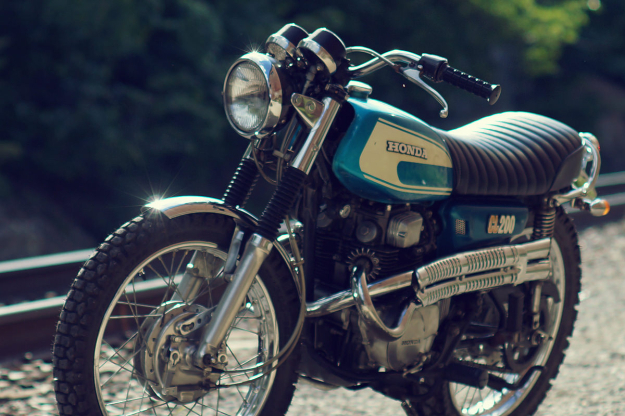 Especially when the bike has survived 40 years without someone taking a welder to the frame or a hammer to the gas tank. It requires thoughtfulness rather than brash ambition, and Dan kept that in mind throughout. 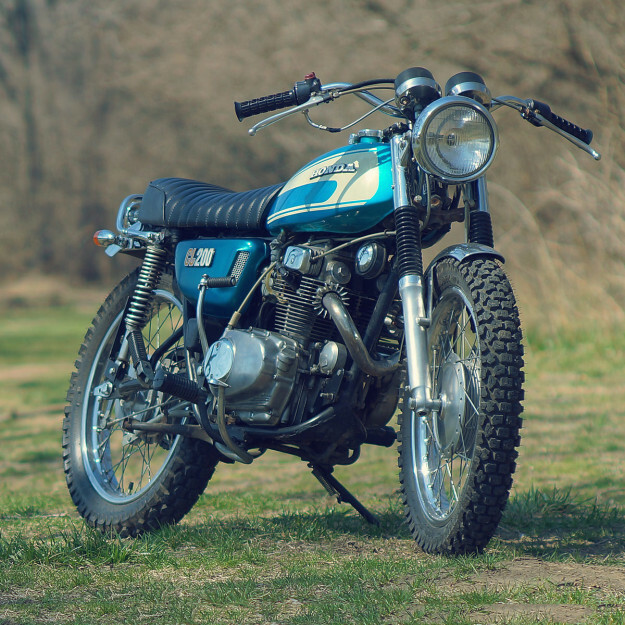 Some of the modifications were an easy decision: like replacing the dorky taillight and lollipop blinkers with smaller ones, dropping the handlebars, adding more aggressive tires, and removing the mirrors. Other mods were more challenging. Dan has kept the side covers, but had to repair extensive cracking. So with the help of bondo and fiberglass, he installed little mesh grills—a very neat custom touch. And the muffler, rendered useless by rust and holes, was chopped off to make way for beautifully chromed, glass-packed exhaust pipes. But where do you draw the line? For Dan, that line was drawn on the bobbed rear fender, so the stock seatpan and sub-frame could stay. The Interior Shop, a hot rod upholstery business in Kansas City, wrapped the deeply upholstered seat. While all this was happening, Dan was rebuilding the busted motor. He installed oversized pistons, resurfaced the head, and refinished the cases. It’d cost a small fortune, but the little CL was now complete. For more shots, check out Dan Mantyla’s website. 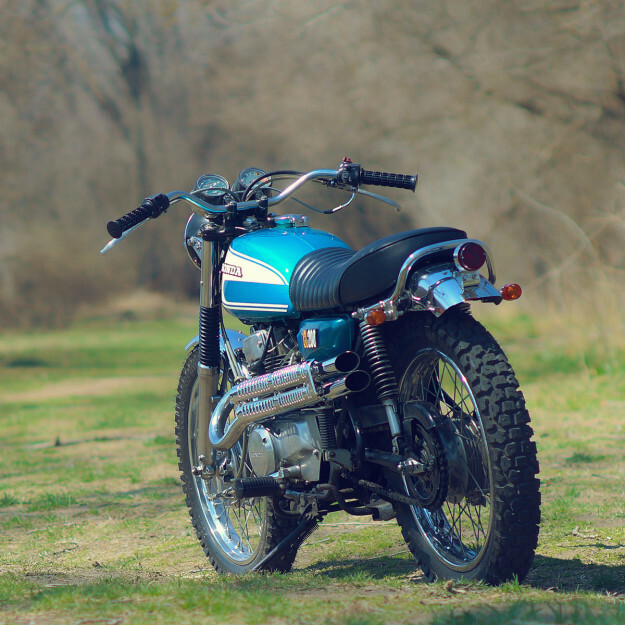 There is a build thread for the Honda CL on the Do The Ton website.